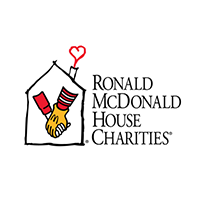 Learn about the people and organizations that work tirelessly everyday to help the less fortunate and make a difference. 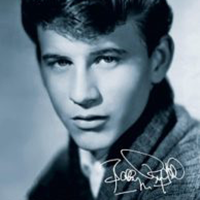 From teen idol, to transplant recipient, and everything in between, we’re talking with American entertainment legend Bobby Rydell this week on BetterWorldians Radio. He’ll share stories from his early career and tell listeners how losing the love of his life rocked him to his core. A big advocate for The Gift of Life, Bobby shares his own “miracle” story. Does reading the news make you feel depressed and hopeless? You’re not alone. In fact, studies show it’s a common reaction. This week on BetterWorldians Radio we’re speaking with positive news researcher Jodie Jackson about Constructive Journalism, an approach that covers both problems and progress. 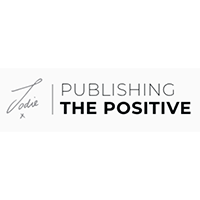 Jodie will tell listeners how constructive journalism can reduce anxiety, improve moods and social relationships, and give hope. Did you know that video games are played by two out of every three American households? And according to our guest this week on BetterWorldians Radio, that’s a good thing! 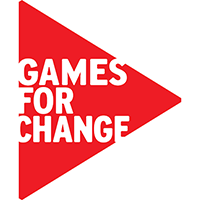 We’re talking with Susanna Pollack, the President of Games for Change, a non-profit that empowers game creators and social innovators to drive real-world impact through games. Pollack will discuss how gaming can increase mental wellness, build empathy, and even improve physical health. In these divisive times, can good storytelling make the world a better place? 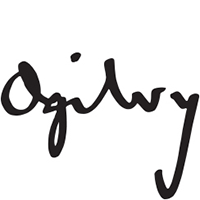 This week on BetterWorldians Radio we’re talking with Christopher Graves, President of the Ogilvy Center for Behavioral Science. Graves will explain the science behind great storytelling, offer listeners tips to tell their own stories, and explain how storytelling has the power to change the world. Works of art can touch our hearts and inspire kindness, love, and charity. 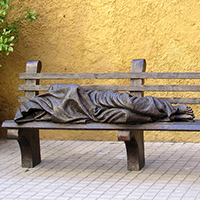 This week on BetterWorldians Radio we’re talking about “Homeless Jesus,” a life-size bronze statue of Jesus, shrouded in a blanket with his face covered and lying on a park bench, which was recently commissioned in Philadelphia. We are talking with the Karen Beyer, the statue’s benefactor, the artist Tim Schmalz, and the director of St. John’s Hospice, which was the recipient of the statue. In times of disaster, communities come together. This week on BetterWorldians Radio, we’re talking with Michael Garrett, founder of Trusted World, a Texas based non-profit that sprang into action after Hurricane Harvey devastated the city of Houston. Garrett will share how people from all walks of life worked together to serve those in need and take care of their neighbors. Good fathers can help create a better world. That’s the goal of Sheldon Smith, the founder of Dovetail Project, a non-profit with a mission to give young African American fathers the skills they need to be good fathers and good men in their communities. On this episode of BetterWorldians Radio, we’ll chat with Smith about the programs his non-profit offers to help young men be the best fathers they can be. Imagine being 18 years old and having no family to lean on. That’s reality for many former foster youth once they age out of the system. Enter Georgie Smith and A Sense of Home, a non-profit that transforms the lives of former foster youth by helping them create their first ever homes. This week on BetterWorldians Radio, we’re speaking with Georgie about her organization brings volunteers together to give young people in need a place to live and a community to count on. Generous, grateful, and thoughtful…. Those are just some of the words used to describe Dolly Parton, a true BetterWorldian! 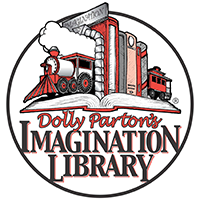 This week on BetterWorldians Radio, we’re celebrating Dolly Parton with David Dotson, the President of the Dollywood Foundation. Dotson will tell listeners how Dolly’s humble beginnings inspired her to make giving back a big part of her incredible career. 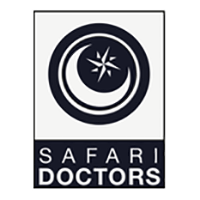 “From those to whom much has been given, much is expected.” That’s the motto of Safari Doctors founder, Umra Omar, our guest this week on BetterWorldians Radio. Omar will talk about how she left behind a career in Washington, D.C. to return to her homeland of Kenya to provide medical care to those who otherwise wouldn’t receive it. “It’s the best week of the year!” That’s what kids say after attending Experience Camps, a week long camp for kids who have lost a close loved one. The week on BetterWorldians Radio we’re speaking with Experience Camps founder Sara Deren. 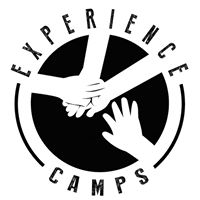 She’ll discuss how the idea for Experience Camps was formed and how it’s brightening the lives of young people living with grief. One woman’s dream is changing lives for girls at risk in Tanzania. 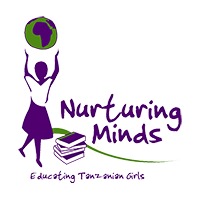 This week on BetterWorldians Radio, we’re talking with Polly Dolan, founder of Nurturing Minds in Africa, a non-profit with a mission to educate Tanzanian girls who are poor, marginalized and at-risk of becoming involved in exploitative forms of child labor. Dolan will discuss the organization’s SEGA Girls School and how it is educating girls and giving them the tools for successful, happy lives. It’s the season of giving. This week on BetterWorldians Radio, we’re talking with Kendall Webb, founder of JustGive.org, a nonprofit organization with a mission to increase charitable giving by connecting people with the charities and causes they care most about. Webb will tell listeners how JustGive.org revolutionized the way we give online, and how anyone can make giving back a fun part of the holiday with charity gift cards. None of us are home until all of us are home. That’s the powerful slogan at Project HOME, a non-profit with a mission to break the cycle of homelessness and poverty. This week on BetterWorldians Radio, we’re speaking with Laura Weinbaum from Project HOME about the ways the non-profit is helping to change lives in the Philadelphia area and how listeners can help make the holidays brighter for those experiencing homelessness. In honor of Veterans Day, our guest this week on BetterWorldians Radio is retired US Army Reserve Colonel Dr. Brian Rees. Dr. Rees will tell listeners about his experience with Transcendental Meditation (TM) and how the practice is helping combat veterans suffering from Post Traumatic Stress Disorder. Dr. Rees will explain how TM significantly reduces anxiety, depression, and other symptoms of PTSD and how veterans can get connected with a TM teacher. It all started with a group of friends, pooling funds to support women and girls in developing countries. Today, Dining for Women is the largest giving circle in the world. This week on BetterWorldians Radio, we’re talking with Dining for Women co-founder Marsha Wallace about the story behind Dining for Women, a non-profit that connects people in creative, powerful ways to promote gender equality around the world. A good education can open the door to a better world. 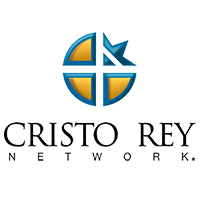 That’s the thinking behind Cristo Rey Philadelphia, college preparatory school for students who otherwise cannot afford a private education. Founder and President John McConnell will tell listeners how Cristo Rey Philadelphia is changing lives for young people in need and preparing them for college and beyond. When he was just a baby, Ashley Haseotes’ son was diagnosed with pediatric cancer. This week on BetterWorldians Radio we’re speaking with Haseotes about how the experience inspired her and her husband, Ari, to start a non-profit that would help families in similar situations. Haseotes’ son is now 10 years cancer free and her non-profit, One Mission, has raised over $6 million in six years. A trip to India transformed Caroline Boudreaux’s life and now she’s changing the lives of orphans in that country every day. 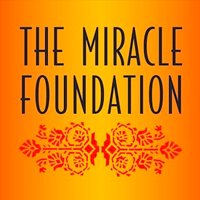 This week on BetterWorldians Radio we welcome Caroline back to the show to discuss the latest developments with her non-profit, The Miracle Foundation. Caroline shares inspiring stories of how her work is impacting the lives of children in need and how listeners can help make a difference. 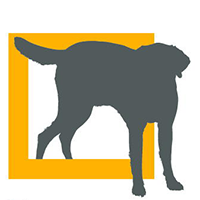 This week on BetterWorldians Radio, in honor of Memorial Day, we’re talking about Puppies Behind Bars, a non-profit that trains prison inmates to raise service dogs for wounded war veterans. Our guest is Puppies Behind Bars Director of Development, Eric Barsness. Eric will tell listeners how Puppies Behind Bars brings the love and healing of dogs to hundreds of individuals every year. Every child deserves an education and enough to eat. 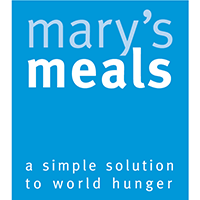 That’s the simple, yet powerful mission behind Mary’s Meals, a nonprofit that feeds over a million school children each day. This week on BetterWorldians Radio we’re talking with founder Magnus MacFarlane-Barrow about his inspiration to start this life changing charity and how it is making a difference for kids around the world. Everyone deserves a second chance. At Edwins Leadership and Restaurant Institute, formerly incarcerated adults are getting that chance. This week on BetterWorldians Radio, we’re talking with founder Brandon Chrostowski. Brandon will tell listeners how an education in the culinary arts is helping empower students and change their lives. Because of the life of a little girl, thousands of families in crisis have been receiving help for nearly forty years. 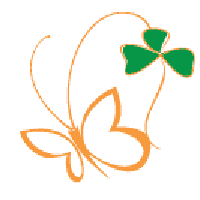 This week on BetterWorldians Radio, we’re talking about the Kelly Anne Dolan Memorial Fund with founder Peggy Dolan. Peggy will tell listeners how the life of her daughter inspired her to start a fund to lighten the burdens and lift the spirits of families with seriously ill children. Education changes lives. 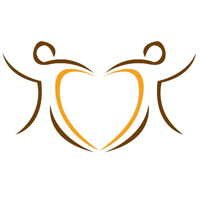 This week on BetterWorldians Radio, we’re checking in with friends of the show, Mick Quinn and Debora Prieto, founders of Integral Heart Foundation. Mick and Debora will tell listeners all about La Academia, the new school they’ve opened in Guatemala and how they hope it will change the lives of the kids they serve. When a child loses a parent, “you don’t move on, you move forward.” This week on BetterWorldians Radio, we’re talking about Family Lives On, a non-profit that provides grieving children and teens with opportunities for intentional remembering. 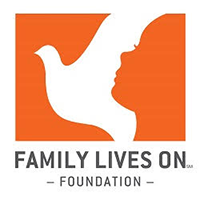 Board Member Chris Cavalieri will tell listeners how the organization is helping children and their families move forward with their lives while honoring and remembers their loved ones. Since 1992, Dr. Jim Withers has been treating homeless individuals where he finds them: in the streets, alleys, and under bridges. Dr. Withers is the founder of Operation Safety Net and this week on BetterWorldians Radio we’ll speak with him about his important work. Dr. Withers will tell listeners what inspired him to reach out to the homeless population and how it is changing lives. Sean Gobin served his country for years in the Marine Corps, and today he serves his fellow veterans through Warrior Hike. 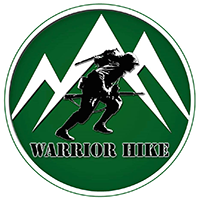 Warrior Hike is a “Walk Off The War” Program that supports combat veterans transitioning from their military service by thru-hiking America’s National Scenic Trails. Gobin will discuss his inspiration for the program and how Warrior Hike is helping veterans make a successful transition from military life. This week on BetterWorldians Radio, learn how a baby boy named Hayden inspired a nonprofit that is improving the lives of families in need. Our guest this week is Ady Dorsett, co-founder of Hayden’s Heart. Ady will tell listeners about the life of her son, Hayden, and how he inspired the foundation that is raising money and awareness for families dealing with Congenital Heart Defects. A hand up can go a long way toward empowering families and changing lives. This week on BetterWorldians Radio, we’re talking about Utility Emergency Services Fund (UESF). 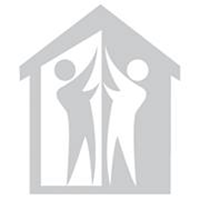 Executive Director John Rowe will discuss how the not-for-profit helps families in crisis by addressing their immediate needs and removing the barriers to long-term stability. When a group of passionate people come together, great things can happen! 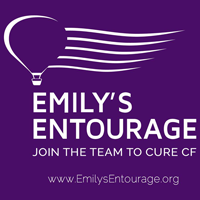 That’s the story of Emily’s Entourage, a nonprofit that raises funds and awareness to help find treatments and, ultimately, a cure for rare mutations of Cystic Fibrosis. Our guest this week on BetterWorldians Radio is Emily Kramer-Golinkoff, co-founder of Emily’s Entourage. Emily will discuss her life with Cystic Fibrosis and how she hopes to fast track research to save lives. Did you know renowned author Pearl S. Buck was not only the first woman to receive both the Pulitzer and Nobel prize for literature, but she was also a remarkable humanitarian? 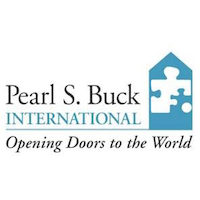 Our guest this week is Pearl S. Buck International CEO and President Janet Mintzer. Janet will discuss how the organization continues Buck’s legacy of building a better world for children around the globe. What does it take to make a better world for children? 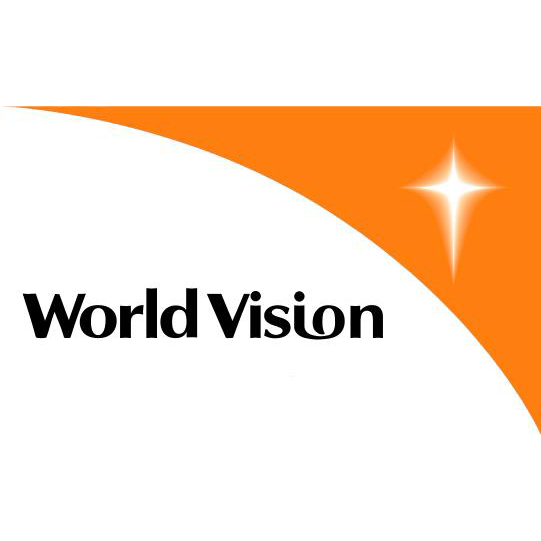 For decades World Vision, one of the world’s largest humanitarian organizations, has been answering that question with programs like child sponsorship, clean water, and disaster relief. Our guest this week on BetterWorldians Radio is World Vision U.S. President Richard Stearns. Stearns will discuss the progress being made to tackle extreme poverty and how our listeners can help make a difference. Healthy spirit, healthy body, healthy mind. 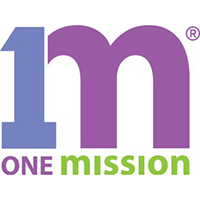 That’s the mission at the YMCA of Greater Brandywine in Pennsylvania. Our guest this week is President and CEO Denise Day. She’ll discuss the great programs offered by the YMCA of Greater Brandywine and how it’s improving lives. What if you could make a difference in someone’s life from your own computer? This week on BetterWorldians Radio, we are talking with Jessica Jackley. Jackley is the cofounder of Kiva, a non-profit organization whose mission is to connect people worldwide through a lending network, and co-founder and CEO of ProFounder, a crowdfunding platform that helped entrepreneurs raise funding from friends, family, and the community. 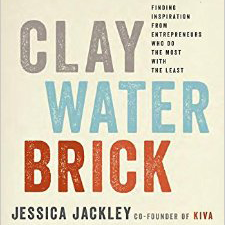 Jackley will discuss her book, Clay, Water, Brick, and tell her personal story of how she learned to make a difference in people’s lives, and how you can make a difference too. What if a simple car repair could help lift a person out of poverty? 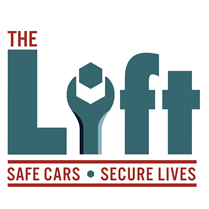 Cathy Heying believes it can and that’s why she changed her life to become a mechanic and open The Lift Garage. Cathy is our guest this week on BetterWorldians Radio Spotlight. She’ll tell listeners what inspired her to become a mechanic at age 38, and how she’s changing lives in the process. During life’s most difficult challenges, it helps to “Keep the Phaith.” That’s the message the Kevin from Heaven foundation hopes to share through acts of kindness for people facing life altering events. Our guest this week is Ken Johnston, a board member at the Kevin from Heaven foundation. He’ll tell listeners how a tragic event inspired a community to help others in need through hard times. Do you believe it’s Possible to change the world? 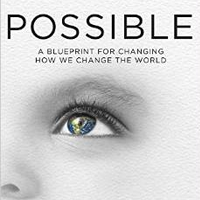 Author Stephan Bauman does, and he explains how in his book, Possible: A Blueprint for Changing How We Change the World. Bauman is our guest this week on BetterWorldians Radio. He’ll share the experiences that changed the way he looks at the world and how he believes everyone is called to help make a difference. When you help a child, you can change the world. This week on BetterWorldians Radio, we’re talking with Hollywood filmmaker Peter Samuelson who is making a big difference in the lives of children in need. 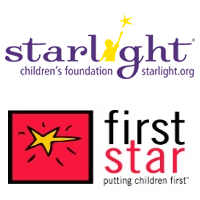 Samuelson will discuss how his experience as a filmmaker gave him the skills to make a real impact in the lives of children around the world by founding charities such as Starlight Children’s Foundation, First Star, and Everyone Deserves a Roof (EDAR). Samuelson will share some of his success stories, like enlisting the support of heavy hitters Steven Spielberg and General Norman Schwarzkopf, and will tell listeners how they, too, can help make the world a better place. People are basically good, sometimes they just need a reminder. 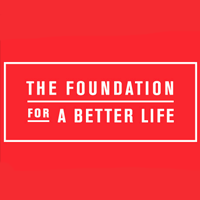 That’s the thought behind The Foundation for a Better Life and their campaign to share positive values all over the world. Our guest this week on BetterWorldians Radio is Gary Dixon, President of The Foundation for a Better Life. 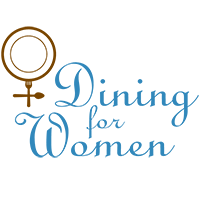 He’ll discuss how Values.com uses television, radio, billboards, and more to spread inspirational messages to people everywhere as a contribution toward promoting good values, good role models, and a better life. 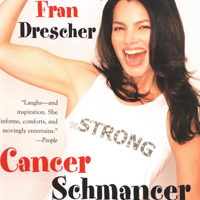 It took “The Nanny” star, Fran Drescher, two years and 11 doctors to be diagnosed with and treated for uterine cancer. Now, she lives to talk about it and empower other women to take an active role in their health. Fran is our guest this week on BetterWorldians Radio. She’ll talk about Cancer Schmancer, the foundation she started to promote the prevention and early detection of cancer, and her book by the same name. Did you know that thousands of families each year take part in a program to reach out to some of the 2.7 million children in the United States with an incarcerated parent? 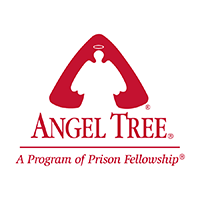 The program is called Angel Tree and it’s goal is to meet the physical, emotional, and spiritual needs of the families of prisoners. 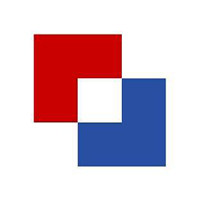 This week on BetterWorldians Radio, we’re talking with Jim Liske, the CEO of Prison Fellowship. 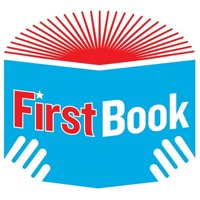 Liske will discuss how Prison Fellowship’s Angel Tree program help reconnect families and gives joy to children at Christmas time. Can you imagine going through a cold winter with no coat? That’s the reality for some children across the United States, but Operation Warm, a non-profit that provides kids in need with winter coats, is working to change that. Our guest is Operation Warm Executive Director Richard Lalley. 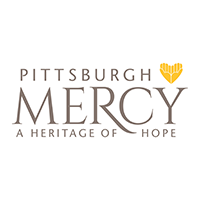 He will discuss how Operation Warm brings awareness to the impact poverty has on families and how even one person can make a positive difference in the life of a child. What if you could turn your sadness into a world of hope? This week on BetterWorldians Radio we’ll discuss how a family tragedy inspired an organization that has now served 65 million people around the globe. 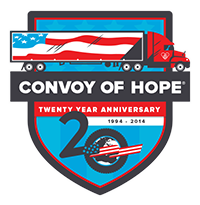 Our guest is Dave Donaldson, the co-founder of Convoy of Hope, an international humanitarian-relief organization with a goal to bring help and hope to those who are impoverished, hungry and hurting. 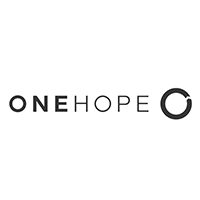 Donaldson will discuss how the power of hope can transform families and communities. Tune in every week to hear new guests share how they are making the world a better place and to learn how you can become a BetterWorldian! There’s a real connection between eating well and feeling good. This week on BetterWorldians Radio, we’ll talk with a renowned chef about how he’s helping give kids the nutritional foundation they need to grow and thrive. Our guest this week is Marc Vetri, the executive chef and owner of the acclaimed Vetri Family Restaurants in Philadelphia: Vetri Ristorante, Osteria, and Amis. 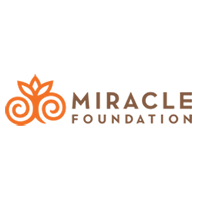 Vetri will discuss how the Vetri Foundation for Children is improving school lunches and changing lives in the process. Tune in every week to hear new guests share how they are making the world a better place and to learn how you can become a BetterWorldian! With a dream and determination, even a child can make a big difference in the world! On this week’s episode of BetterWorldians Radio, we’ll talk about how a six year old set out to solve a problem and changed hundreds of thousands of lives in the process. 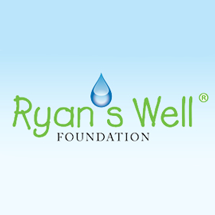 Our guest this week is Ryan Hreljac, the founder of Ryan’s Well. Ryan will discuss how, as a six year old, he set out to build a well in a village in Uganda. Ryan will tell listeners how that dream turned into Ryan’s Well, a Canadian non-profit that has now provided clean water for more than 800,000 people. Tune in every week to hear new guests share how they are making the world a better place and to learn how you can become a BetterWorldian! What if you could help someone who really needed it just by eating lunch? This week on BetterWorldians Radio, we’re talking about a Kickstarter campaign to use resources from a successful line of restaurants to care for the hungry in Philadelphia. Our guests this week are Steve Cook and Michael Solomonov, owners of Federal Donuts and Andy Greenhow of Broad Street Ministry. 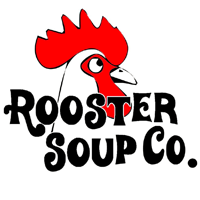 Together, the two organizations are running a Kickstarter campaign to fund Rooster Soup Co., a restaurant that will donate 100% of profits to Broad Street’s Hospitality Collaborative to provide services for the hungry and homeless in Philadelphia. Tune in every week to hear new guests share how they are making the world a better place and to learn how you can become a BetterWorldian! Did you know that over half of all college students report feeling anxious and lonely? This week on BetterWorldians Radio we’ll talk about how The Jed Foundation is helping young people navigate tough times. 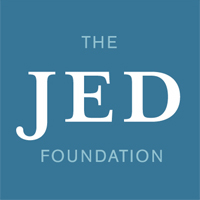 The Jed Foundation is the nation’s leading organization working to promote emotional health and prevent suicide among college students. We’ll talk with Executive Director John MacPhee about the unique programs The Jed Foundation offers college students and their parents, including Love is Louder and Half of Us. Tune in every week to hear new guests share how they are making the world a better place and to learn how you can become a BetterWorldian! Grant a wish, change a life. That’s the mission at One Simple Wish, a non-profit that grants the wishes of children in foster care. 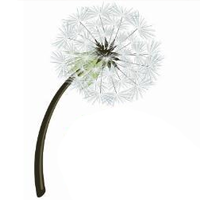 Our guest this week on BetterWorldians Radio is Danielle Gletow, the founder of One Simple Wish. She’ll discuss how her organization is working to change the perception of foster care and adoption and how more people can get involved in supporting children in need. Tune in every week to hear new guests share how they are making the world a better place and to learn how you can become a BetterWorldian! They say it takes a village, but in some cases, it just takes a boat. This week on BetterWorldians Radio we’re talking about a mission to bring healthcare to some of the most remote coastal regions in the world. 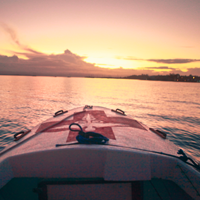 Our guest this week is Dr. Benjamin LaBrot, the founder of Floating Doctors, a seafaring medical group that provides free healthcare for people in remote coastal regions. LaBrot will talk about his journey and the lessons he has learned along the way. Tune in every week to hear new guests share how they are making the world a better place and to learn how you can become a BetterWorldian! What if all children had the essentials they needed to thrive? 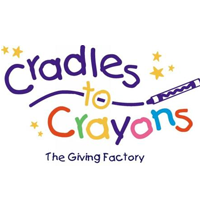 That’s the mission at Cradles to Crayons, a non-profit that supplies kids with those essentials free of charge by “connecting communities that have with communities that need.” Joining us this week on BetterWorldians Radio is Michal Smith, Executive Director at Cradles to Crayons. 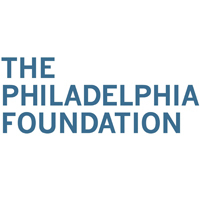 Smith will discuss the impact her organization is having on children in the Philadelphia area and how Cradles to Crayons offers meaningful volunteer opportunities to thousands of individuals and families each year. Tune in every week to hear new guests share how they are making the world a better place and to learn how you can become a BetterWorldian! We’re honoring our nation’s veterans this week on BetterWorldians Radio with a special Memorial Day episode. 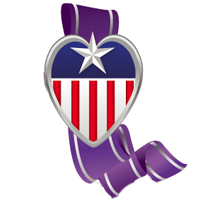 We’ll talk with Dale Beatty, the founder of Purple Heart Homes, a non-profit that builds and modifies houses for disabled veterans. Beatty will discuss his journey from a life-altering injury while serving in Iraq, to founding the organization that is helping veterans live happier lives in homes customized to their needs. Beatty will discuss how everyone can honor our nation’s heroes this Memorial Day and everyday. Tune in every week to hear new guests share how they are making the world a better place and to learn how you can become a BetterWorldian! Making it a better world, one child at a time. 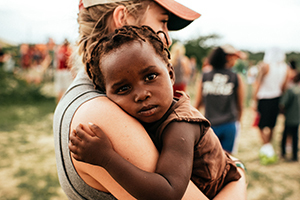 This week on BetterWorldians Radio we’ll talk about a mission that’s healing children in need and changing lives in the developing world. 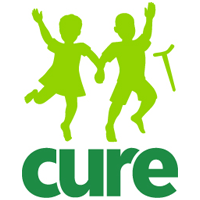 Our guest this week is Dale Brantner, CEO of CURE International, a non-profit that has provided over 150,000 surgeries for children with orthopedic and neurological conditions in the developing world. Brantner will share stories of healing, compassion, and faith and let listeners know how they can get involved. Tune in every week to hear new guests share how they are making the world a better place and to learn how you can become a BetterWorldian! Can kindness change the world? This week on BetterWorldians Radio we’ll talk about a mission to unite and empower people through kindness. 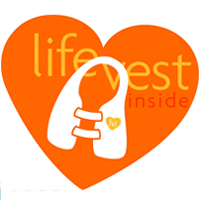 Our guest this week is Orly Wahba, the founder of the non-profit Life Vest Inside. Wahba will tell listeners about the potential they have to affect real and positive change in the world through kindness. Tune in every week to hear new guests share how they are making the world a better place and to learn how you can become a BetterWorldian! Life is full opportunities to create abundant miracles. 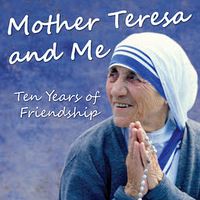 This week on BetterWorldians Radio we’ll talk with one woman who turned her life around to serve others. Our guest is Caroline Boudreaux, founder of The Miracle Foundation, a nonprofit organization dedicated to helping orphans realize their full potential. Boudreaux will discuss her mission and inspire listeners to recognize the abundance in their own lives. Tune in every week to hear new guests share how they are making the world a better place and to learn how you can become a BetterWorldian! For the holiday season, give the gift of warmth! This week on BetterWorldians Radio we’ll talk with two organizations that focus on providing the less fortunate with the things they need to stay warm through the winter. Our guests this week are Tom Costello, the founder of The Joy of Sox, and Carey Palmquist, the Executive Director of Operation Warm. 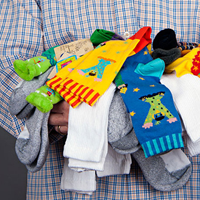 Tom will discuss how he went from a “homeless phobia” to providing over 100,000 pairs of new socks for the homeless. Carey will tell us how, to date, Operation Warm has provided more than a million children with their first new coat to keep them warm. Tune in every week to hear new guests share how they are making the world a better place and to learn how you can become a BetterWorldian! Anyone, at any age, can make a difference in the world. This week on BetterWorldians Radio we’ll share the story of a little girl with a dream to raise money for childhood cancer research. 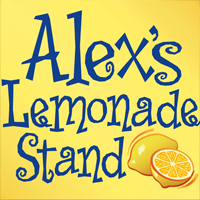 Our guest this week is Jay Scott, Co-Executive Director of Alex’s Lemonade Stand Foundation (ALSF). Jay will talk about how his daughter’s dream of starting a lemonade stand turned into to an organization that has raised more than $65,000,000 for cancer research. Tune in every week to hear new guests share how they are making the world a better place and to learn how you can become a BetterWorldian! In the face of seemingly insurmountable world issues, sometimes all it takes to make a difference is a small act of kindness. This week on BetterWorldians Radio we’ll talk about how every day BetterWorldians can do their part to fight hunger and poverty. Our guest this week is Dan Karslake, an award winning producer and filmmaker. 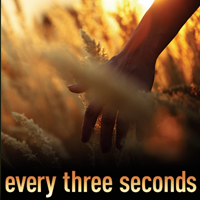 Dan’s latest project, Every Three Seconds, tells the stories of five individuals from different generations whose acts of kindness have had a big impact. Tune in every week to hear new guests share how they are making the world a better place and to learn how you can become a BetterWorldian! There is an old saying: “Give someone a fish, feed them for a day. But teach them to fish, and feed them for a lifetime.” This week on BetterWorldians Radio we’ll be focusing on helping people to help themselves. We will be speaking with Mick Quinn and Debora Prieto, cofounders of the Integral Heart Foundation. 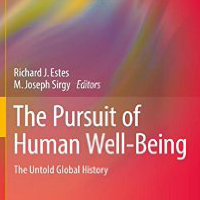 Their unique approach to international development speaks to the whole person, going beyond the basics to include critical thinking, leadership training, and even spirituality. Tune in every week to hear new guests share how they are making the world a better place and to learn how you can become a BetterWorldian! Join us for the opening episode of BetterWorldians Radio, the show that helps Bring Out the BetterWorldian in Everyone! 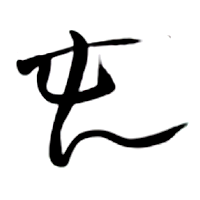 This week we will be talking about Doing Good in the Real and Virtual worlds. With websites, games, and mobile apps everywhere today, we seem to hear about the virtual world wherever we go. But did you know that the virtual world can be used to make a difference in the real world? Our guest this week is Joel Worrall, CTO of CURE International, the largest provider of reconstructive surgeries for children in the developing world. Hear about the good work CURE does everyday to help children with disabilities and how technology advances their mission. Call in to talk to Joel and learn how you can make a difference for CURE Kids. Tune in every week to hear new guests share how they are making the world a better place and to learn how you can become a BetterWorldian!